Johannesburg (SA) – The AVI group's footwear and apparel brands increased their revenue by 3.2% to R1.9 billion, and their operating profit by 6.1% to R366 million, according to the results for the year ended June 30, published today. The operating profit margin increased from 18,6% to 19,1%. All other divisions (food and beverages, and personal care) had higher growth, and the group's overall revenue increased by 8.2% to R13.2 billion and its operating profit by 10.7% to R2.4 billion. "The Spitz and Kurt Geiger brands grew revenue by 2,0% as a result of higher selling prices, offset by lower footwear volumes," the report said. "Core footwear brands performed well considering the constrained consumer environment, particularly in the second semester when selling prices were left unchanged in recognition of improving Rand exchange rates and considering the material increases implemented in the last financial year. The gross profit margin increased due to easing exchange rate pressure through the second semester and was complemented by effective management of selling and administrative costs. Profit for the second semester was materially higher than for the same period last year, lifting full year growth in operating profit to 6,2%, from R320,2 million to R339,9 million. Operating profit margin for the year increased from 21,8% to 22,7%. "Green Cross revenue grew 9,4% to R371,9 million. Retail revenue increased by 15,5% due to price increases in response to the weaker Rand exchange rates achieved and increased trading space, with four new doors opened in addition to the eight new stores opened in the 2016 financial year. Product assortment and stock replenishment improved and together with new doors helped achieve growth in sales volumes notwithstanding sustained discounting by competitors and the constrained environment. Wholesale revenue declined by 4,7%, reflecting continued volume pressure on this channel as consumers increasingly display a preference to buy higher priced footwear in branded stores. Gross profit margin decreased slightly with selling prices constrained by competitive pressures. Selling and administrative costs increased in line with the number of new doors and operating profit decreased from R27,3 million to R26,8 million. Durban (SA) – Mr Price Group sales grew by 6.2% to R6.5bn in the first four months (18 weeks to August 5) of its financial year, which started on April 1, according to a statement posted on its website on September 1. Of the 6 divisions, Milady's had the biggest turnover growth, but also the highest retail selling price inflation, and a lower unit growth than MRP. 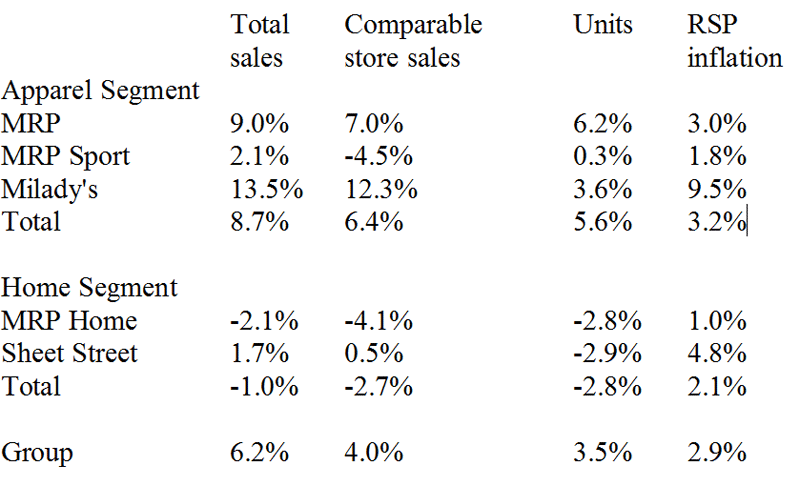 Apparel outperformed home stores. "... the most significant near-term opportunity is to regain lost market share in the two divisions, MRP Apparel and Milady's, which underperformed in the previous financial year," the statement said. "Despite intensified competitor promotional activity, our focused efforts are proving successful. The combined South African sales growth of MRP Apparel and Milady’s from April to June 2017 was 10.1%, which compares favourably to Type D retailers (textiles, clothing, footwear and leather goods), as reported by STATS SA, which grew 4.8% over the same period. "With their improved trading and inventory performance, these two divisions are expected to contribute positively to the group’s anticipated improvement in gross profit margin for the first half ending 30 September 2017. "The merchandise offers in MRP Sport and the homewares chains are a more discretionary buy. Despite constrained consumers reducing their spend in these categories, our level of execution and value proposition remains strong. Cape Town (SA) – The next edition of Source Africa will be on June 20 and 21 next year, according to Messe Frankfurt SA, which on Friday officially announced its acquisition of Source Africa and its sister fair, ATF, from LTE. Source Africa and ATF are Africa’s largest local and international textile, apparel and footwear shows, and Messe Frankfurt is the third largest trade fair company in the world with 134 trade fairs, over 90 000 exhibitors and roughly 3.5m visitors. It claims to be the leader, globally, in textile fairs. "These events are a great addition to our current portfolio of fairs in South Africa," said Messe Frankfurt SA MD Konstantin von Vieregge. "We believe we have the resources, skills and experience, globally, to grow these. We are honoured that LTE has selected us as preferred partners and we look forward to working with them to ensure we take both events to a new level. We are committed to ensuring the growth of these industries in South Africa and we want to expose South Africa’s potential to the rest of the world." The 2017 ATF Trade Show which will take place from 21 – 23 November this year at the CTICC in Cape Town will still be managed and organised by LTE. More than 150 exhibitors from over 10 countries will be showcasing their footwear, leather goods, fashion accessories, textiles and clothing ranges to chain stores, independent retailers, mini-chains, wholesalers, agents and other industry decision makers. To EXHIBIT or VISIT register online at www.atfexpo.co.za or email atfexpo@worldonline.co.za. For more information on Source Africa 2018, contact Joshua Low, Group Exhibitions Director, Messe Frankfurt SA - Joshua.low@messefrankfurt.co.za. 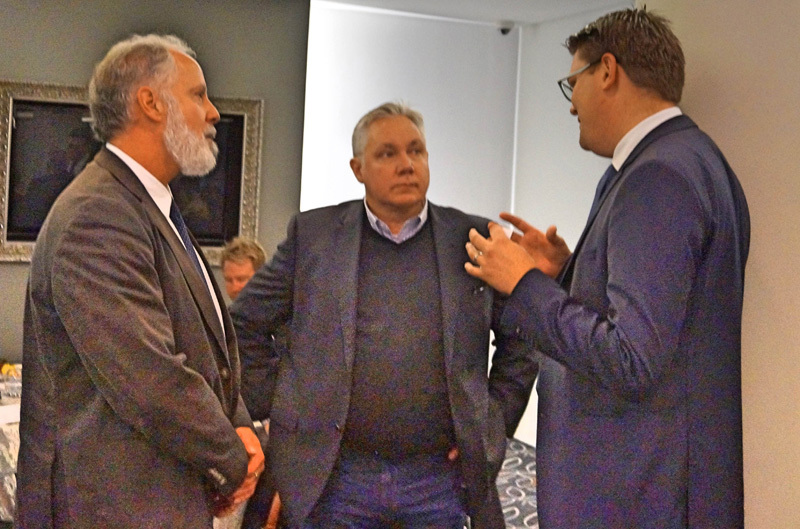 Thomas Rojas, Director: Regional Office of Economic Development, USAID/Southern Africa; Terry Wyer, Director: Finance & Investment, USAID Southern Africa Trade & Investment Hub; Konstantin von Vieregge, Managing Director, Messe Frankfurt SA. 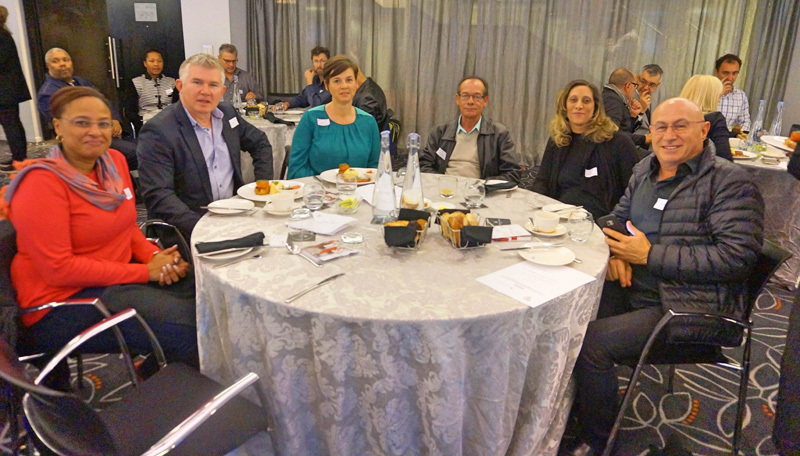 Dineo Skwambane, Head: SBU (Clothing & Textiles Sector Business Unit), Industrial Development Corporation (IDC); Gavin Fritz, Commercial Head, Coats SA; Tracy Berry, Fast React/DG Technologies; Kim George, Marketing Manager, Square Deal Sewing Machines; Robert Matthee, Technical Support Engineer, Square Deal Sewing Machines. 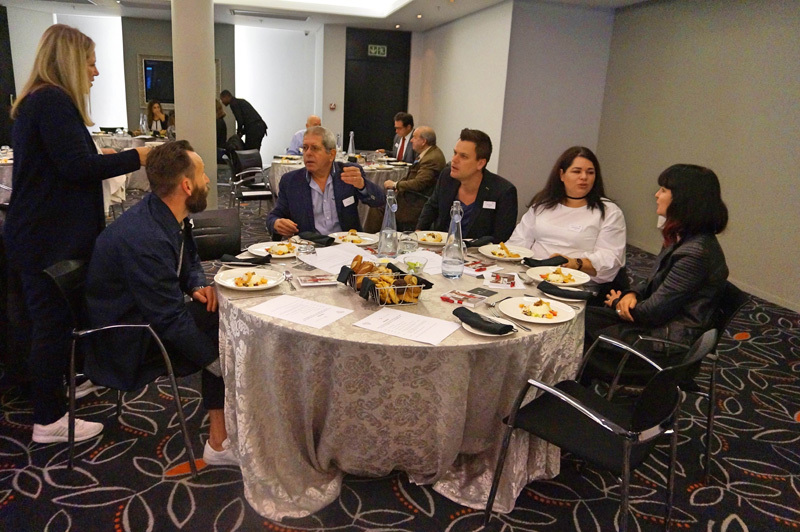 Paul Court, Senior Economist: Economic Research, City of Cape Town; Ken Lazarus, Creative Director, Cape Union Mart; Nicholas Large, Business Development Manager Africa, WGSN; Kerry-Lee Bell, Manager, Cape Town Fashion Council; Domonique Lezar, Administration, Cape Town Fashion Council. Pretoria (SA) – There has been an outbreak of foot and mouth disease (FMD) in the Giyani municipality in Limpopo Province, according to a statement by the Department of Agriculture, Forestry & Fisheries on September 5, but the outbreak is "outside the internationally recognised SA FMD free zone", and will there "not have any effect on the FMD-free status of the country and should also not have an effect on all exports of cloven-hoofed animals and their products from the FMD-free zone". Untanned hides fall into this category. Pretoria (SA) – The DTI has reversed a decision to limit potential exporters to 4 paid-for exhibitions, according to the SA Footwear & Leather Export Council (SAFLEC). Executive director Nerisha Jairaj said SAFLEC had had the backing of textiles, clothing, leather and footwear chief director Abisha Tembo in discussions with the DTI's incentive development & administration division (IDAD). "Hey Tony, you always forget about me - 08/09/1954 birthday that is !!!!!!!!!!!!!!!!!!! Ok good at least I’m not on the memoriam list." - Former Shoe Connection member and current trader Denis Tuchten. October 14: Cobblers' Luncheon, Goodwood Sports Club, Cape Town. Voden Wearne, +27 (0)21 551 4032, Voden.Wearne@apeco.co.za. 12/09/1940: Tony Mason, retired, formerly Resolute Engineering [closed], Cape Town. 12/09/1950: Ivor Cohen, agent, Cape Town. 13/09/1958: Mark Gibbings, Apeco, Pinetown. 14/09/1941: Rob Jordan, retired, formerly Jordan Shoes, Cape Town. 14/09/1943: B Oerder, Bolt Leather, Bedfordview. 14/09/1955: Rafiq Hajat, Footwear Centre, Malawi. 14/09/1968: Nasser Narot, Shoe Preme, Durban. 14/09/1983: Ridhwana Shaik, Save Our Soles Manufacturing, Lenasia. 16/09/1965: Roy Feigenbaum, Superior Leather, Bramley. 17/09/1944: Avril Goldstein, Daisy Roots, Balfour Park. 11/09/1998: Harry Chafkin, Chafkin's Shoe Co, Benoni. 11/09/2008: Robbie Chapman (b. 10/08/1957), Canterbury International SA [closed], Cape Town. 12/09/2015: Ingo von Falkenhausen (b. 14/12/1931), Cheval Shoes, Pinetown. 13/09/2015: Heinz Adrio (b. 19/08/1940), Busby Leathergoods, Adrio Leathercraft, Durban. 15/09/1995: Andy Bax, NPI, Durban. 15/09/2013: Bruce Mallett (b.27/06/1952), Simply Shoes, Johannesburg. 15/09/2014: Fred Eboru (b. 01/10/1947), Fred Footwear, Port Elizabeth. 15/09/2016: Franco Polia (b. 01/01/1937), designer, Durban. Do you have any names you’d like to add to our list of birthdays and In Memoriam? Please send the details. The average bovine hide price over the past week was R12.88/kg green. Hide prices are determined by the average of RMAA and independent companies. The average price for Dorper skins was R41.82/skin and Merino was R100.83/skin. Next newsletter: September 18, 2017.